“When RAN is engaged, what you get appears similar to free association or random presentation. In this state, thoughts, memories, images and feelings stream into awareness often with little or no apparent structure. As long as these stimuli stream, you remain in RAN. However, if you focus on one or more of these stimuli and begin to engage with it, FAN comes back into operation. Thus, FAN can be focused on either an external or an internal task. To illustrate the process of going from RAN to an internal version of FAN, think of standing in front of a conveyor belt and watching suitcases streaming by. This is analogous to RAN-generated thoughts and images streaming through awareness. If you grab one of these suitcases off of the conveyor belt and begin unpacking it, this is analogous to focusing on one thought or image and following a chain of associations elicited by your attention to it. You are now back in FAN. This, however, is usually a less engaged level of FAN than the level, for example, required for solving quadratic equations or teaching someone to read. This suggests that there are degrees of FAN and RAN, meaning that they are not “digital” states that are either on or off. 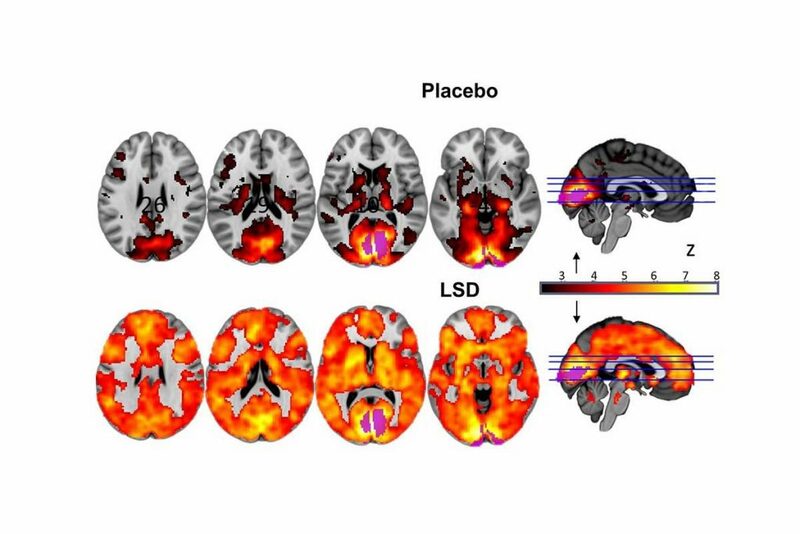 Another imaging type, magnetoencephalography (MEG), showed that the rhythm of alpha brainwaves weakened under LSD, an effect that was also correlated with ego dissolution. Alpha rhythms are stronger in humans than other animals, and Carhart-Harris thinks it could be a signature of high-level human consciousness. Click here for journal paper.